Gophers football coach P.J. Fleck announced Thursday that he has promoted defensive backs coach Maurice Linguist to assistant head coach. Linguist, 33, will remain in charge of the defensive backs. Linguist’s recruiting abilities were evident in the Gophers’ Class of 2018, which the team signed Wednesday during the first day of the early signing period. Minnesota landed five players from Georgia, Linguist’s prime recruiting area. Included in that was four-star wide receiver Rashod Bateman, who had late offers from SEC schools Georgia, Tennessee, South Carolina and Texas A&M. Linguist, a Dallas native who played safety at Baylor from 2003 to ’06, oversaw a Gophers secondary that ranked 11th nationally in passing yards allowed per game (174.5) in 2017. Injuries forced the Gophers to use 11 defensive backs, including four freshmen. Only safety Jacob Huff played in every game. 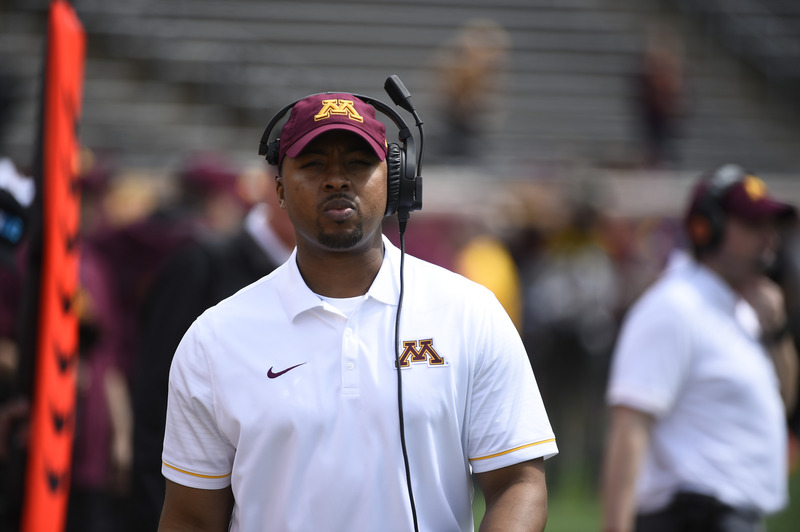 Before joining the Gophers, Linguist was safeties coach at Mississippi State in 2016. He also was an assistant coach at Iowa State (2014-15), Buffalo (2012-13), James Madison (2009-11), Valdosta State (2008) and Baylor (2007).